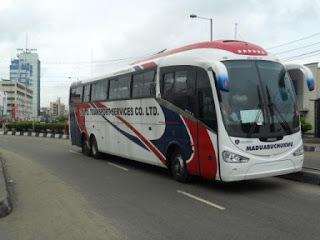 Home LAGOS Guo Transport Port Harcourt To Abuja Booking, Contacts, Price List & Routes. Guo Transport Port Harcourt To Abuja Booking, Contacts, Price List & Routes. hat we know today as one of the biggest Transport Company in Nigeria today was actually Founded in 1980, GUO Transport Company Ltd. is a subsidiary of G. U. Okeke & Sons Ltd. Now as become a household name in the transportation industry and one of the largest provider of intercity and interstate transportation. Currently serving more than 200 destinations across Nigeria and other West African countries with a modern, environmentally friendly fleet of vehicles. GUO Transport Company has become an icon in the transportation industry in Nigeria and West Africa as a whole. Providing customers with safe, enjoyable and affordable travel experience to millions of passengers all year round. GUO Transport Co. is highly recognized for its frequently scheduled passenger services, the company also provides a whole lots of other services for its esteemed customers such as value-priced same-day and early-next-day haulage and package delivery to various destinations in Nigeria.